I had so much fun with this pattern! Though being rather slow, I finished this one in two days. As always, many valuable tips are included, with many pics for reference. I'm glad that I ordered the multipack, and I'm on to my next dino. 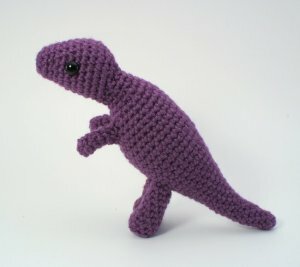 But I'll make the T-rex again, I'm certain of it. Date Added: 12/06/2012 by Simone N.